Mount Longonot is a stratovolcano located southeast of Lake Naivasha in the Great Rift Valley of Kenya, Africa. It is thought to have last erupted in the 1860s. Its name is derived from the Maasai word Oloonong'ot, meaning "mountains of many spurs" or "steep ridges". 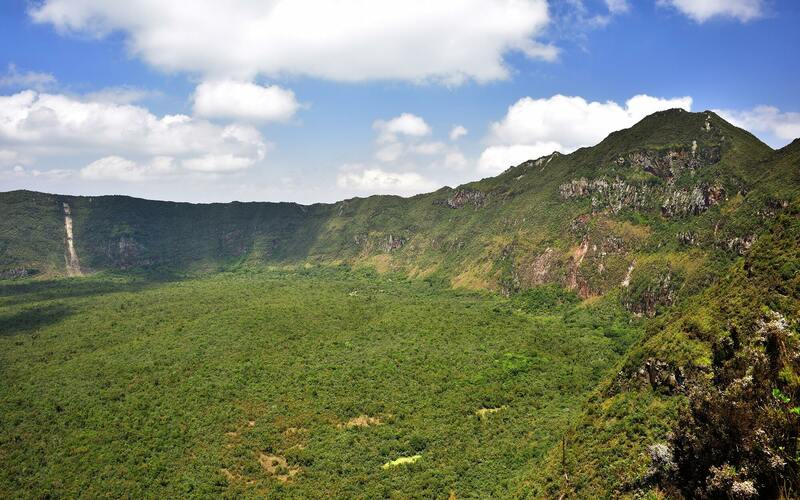 Mount Longonot is protected by Kenya Wildlife Service as part of Mount Longonot National Park. A 3.1 km trail runs from the park entrance up to the crater rim, and continues in a 7.2 km loop encircling the crater. The whole tour (gate-around the rim-gate) of 13.5 km takes about 4–5 hours allowing for necessary rest breaks - parts of the trail are heavily eroded and very steep. The gate elevation is around 2150 m and the peak at 2780 m but following the jagged rim involves substantially more than the 630 m vertical difference. A forest of small trees covers the crater floor, and small steam vents are found spaced around the walls of the crater. 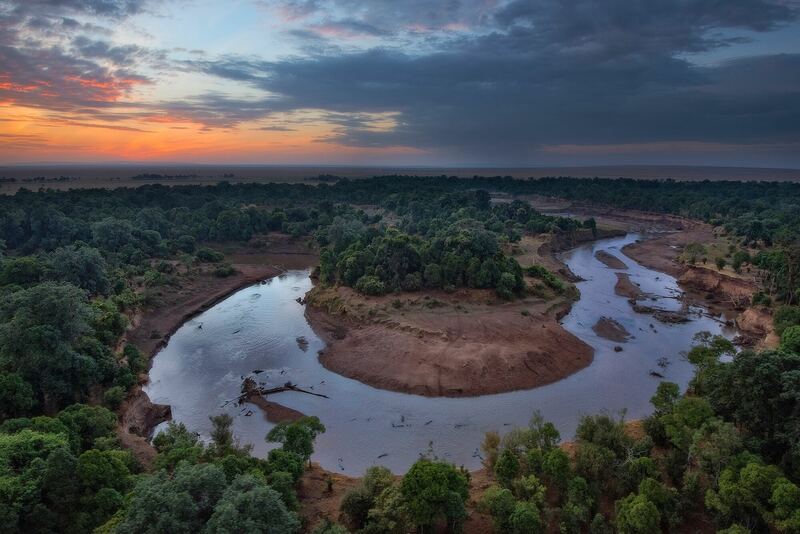 The mountain is home to various species of wildlife, notably plains zebra, giraffe, Thomson's gazelle, buffaloes and hartebeest. African leopards have also been reported but are extremely difficult to spot.